By the author of Rules of Civility comes A Gentleman in Moscow. Once again Amor Towles (@AmorTowles) writes with wit and skill to produce a book very much worth reading. 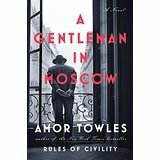 If you loved Rules of Civility, you’ll gobble up A Gentleman in Moscow. For the past four years before the book commences, he is staying in the Hotel Metropol. At the outset of the book, he is on trial for scheming (writing a poem) against the Bolsheviks. At the trial, he uses humor and his good nature to get a lifetime sentence of house arrest at the hotel where he currently resides. His life is spared, but if he leaves the hotel, he’ll be shot. From there the book commences to travel from 1922 to the 1950’s. We watch and participate in the Count’s amazing adjustment to house arrest. He is not allowed to leave the hotel. Inside the hotel, things change as the world changes outside. But, the Count’s world remains pretty stable in comparison. The author contrasts the count’s life with those not under house arrest. They live much more dangerously. The Count’s friends from the outside visit him and he learns of their perils. So much happens to the Count in his desire not to let boredom destroy his life. At one point he is on the brink of giving up, about to take his life, but he’s stopped. That was the only point in the book where he let despair nearly win. His optimism and good sense of humor are refreshing. The Count’s life changes as he develops very strong personal ties with the staff of the Metropol. How interesting to read from the point of view of a true Russian. Towles writes as if he was in the mind of Rostov. The skill of getting into the character’s head is amazing. Rostov in his elegance and good manners strikes the reader as someone we’d all love to meet. He is rarely ruffled. There are times when it’s hard not to feel sad for this man, who was a young man of the world–well travelled– before being arrested. But, the character’s good nature is even contagious to the reader. I love the video that Towles has on his website. It depicts the flavor of the book better than I can! 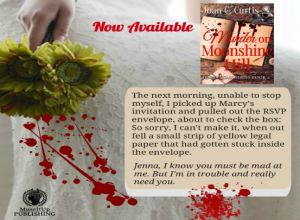 Take a peek and then get this book. You won’t regret it.